Christophe Ameeuw has a dream and we are fortunate enough to be a part of it. Who is Ameeuw? He is a show jumping visionary. But he doesn’t just dream it, or talk about it, he makes it happen. He has a driving passion to see our sport make headlines, our riders highlighted in the news. He wants the world to appreciate, if not fall in love with, horse sport. And he’s brought this tremendous opportunity to the West Coast on a silver platter. Aside from developing a successful Belgian stable called Les Ecuries d’Ecaussinnes just shy of two decades ago, where he has a selection of sale horses and offers specialized clinics and lease programs, Ameeuw reinvigorated the Audi Masters in Brussels in 2004, and continued to do so until 2010. He founded EEM World in 2009, and welcomed a partnership with Gucci, whose classic couture brand had not been associated with horse sport in over 20 years. Ameeuw and his growing team brought the prestige of show jumping back to Paris in 2009 with the Gucci Masters (now the Longines Masters of Paris, part of The Grand Slam). 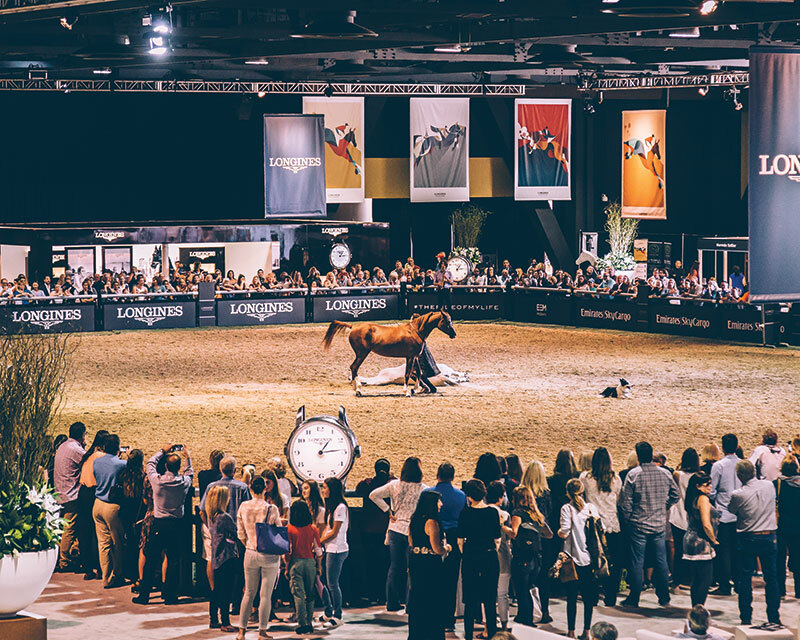 Currently each year in December EEM World hosts this event alongside the popular Salon du Cheval. 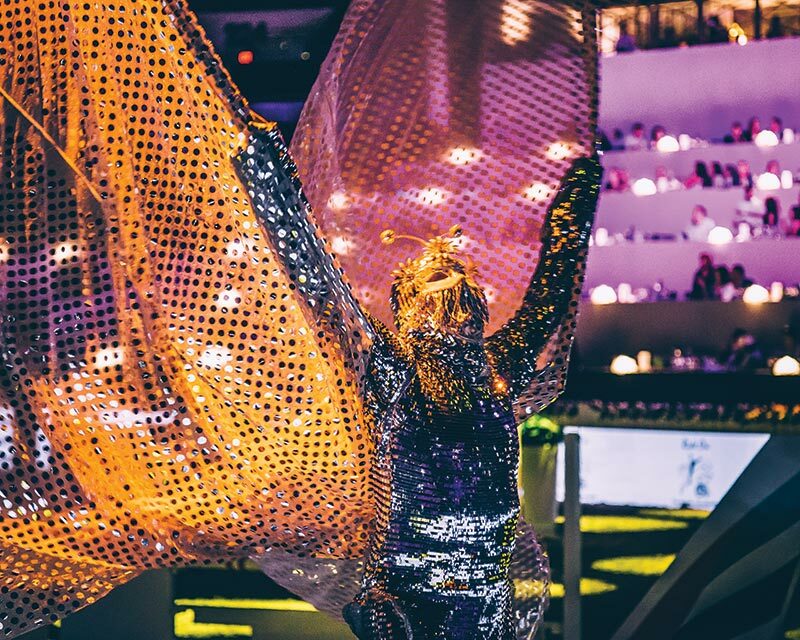 An ideal opportunity to showcase show jumping in a setting filled with passionate horsemen and women, the stands are packed with 50,000 equestrian aficionados annually. “In Paris, when you speak about equestrian sport, and about the Olympic sports, you are talking about two million riders, 15 million people watching on the digital. Unbelievable numbers. Sure, they are a big equestrian population. You make this kind of show, and you reach this population. After one or two editions you are very successful,” Ameeuw noted. With phase one of the dream complete in just a few years, it was time to truly expand the adventure globally, with possibly a hint of a grand slam concept, by adding two more continents. The Gucci Masters was just the beginning. 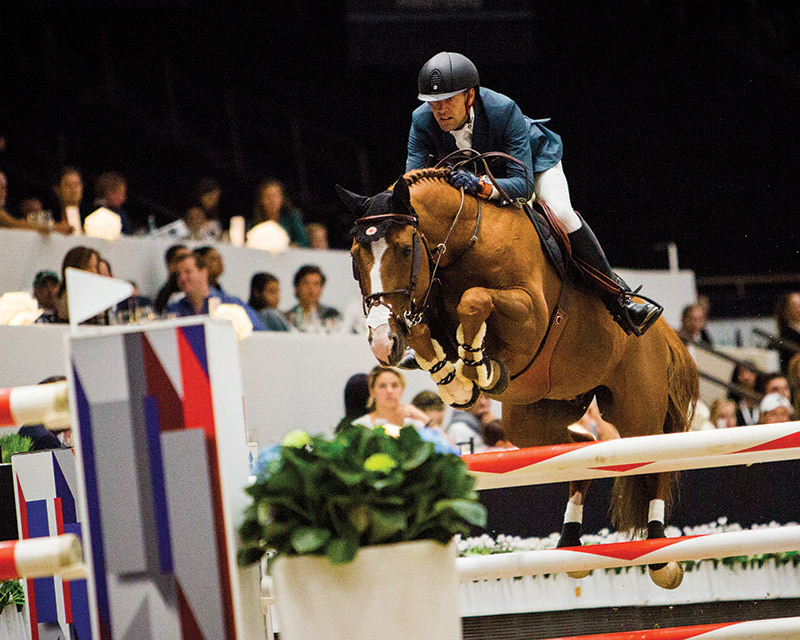 Daring to go beyond where show jumping is embraced with open arms and adoring audiences, Ameeuw entered Asia. After much negotiation and planning, in 2013 The Longines Masters of Hong Kong came to fruition, the first event of its kind in Asia since the 2008 Summer Olympics. Investing and believing in the dream, Ameeuw’s phase two is complete. The Longines Masters of Hong Kong continues to enchant the Asian audience. For those of us who appreciate great equestrian sport, the 5* event was exciting and new, just like in Asia. 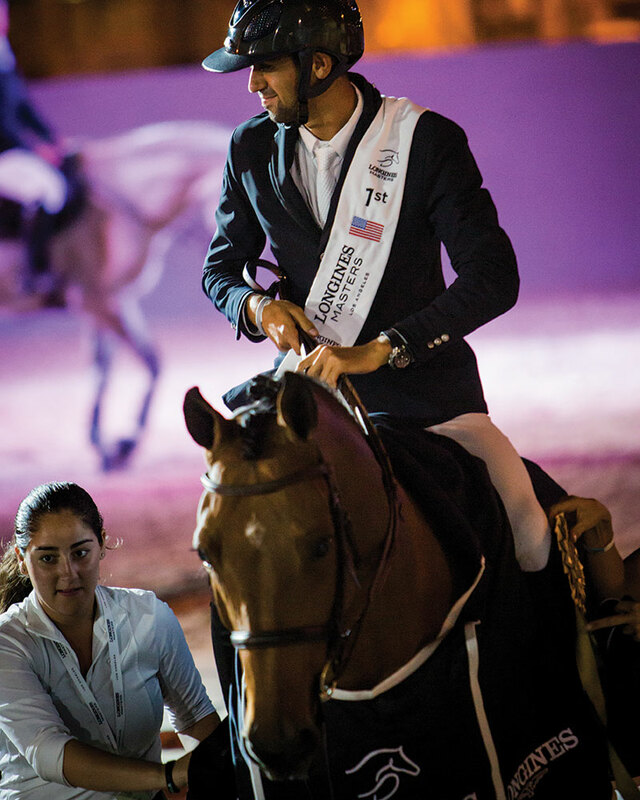 In the first year, NARG, the North American Riders Group, ranked Longines Masters of Los Angeles fourth in their Top 25 of 2014. With a score of 90%, it was the highest ranking indoor event. 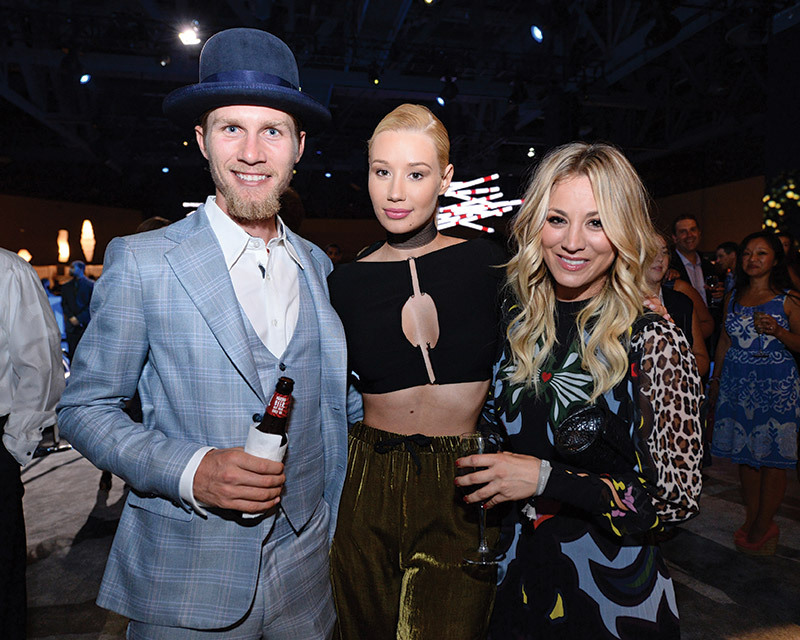 A new location for year three of the Longines Masters of Los Angeles illustrated the quest for finding the right fit for a sport and social event in this sprawling metropolis. 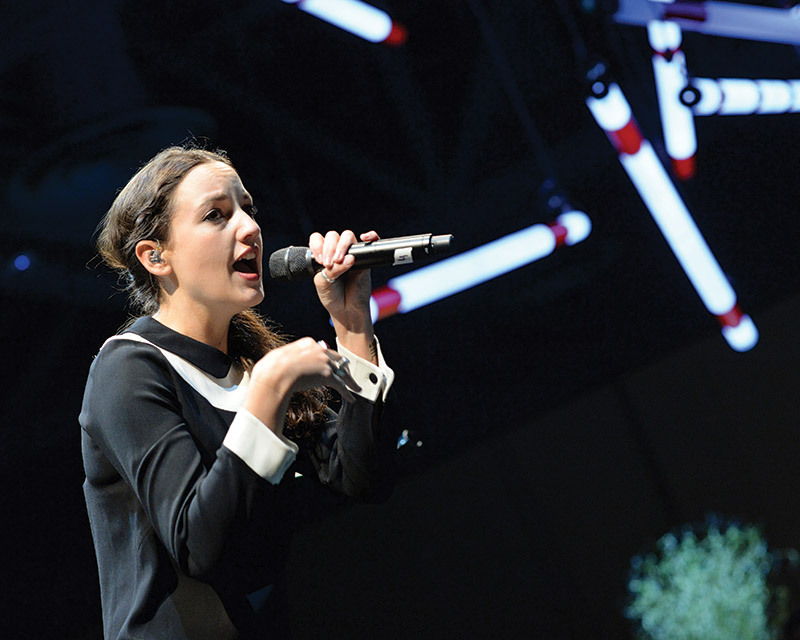 Long Beach rose to the occasion and within its large Convention Center the magic unfolded. Nearby hotels and restaurants impressed attendees. As avid equestrians, most of us share Ameeuw’s dream. From WEG to World Cups, Aachen to Olympics, we’ve watched international competitions, and with luck we’ve seen this amazing connection between horse and rider, an intense match of skill, talent and time, live and in-person. We identify with the thrill of victory and the agony of defeat from our seats, often in front of a screen, or at a distance. For those who seek to get close to this level of competition, see the world’s best riders not only compete but prepare for competition, Ameeuw has created an intimate setting that is more up close and personal than most fans, even friends, can access at this level. 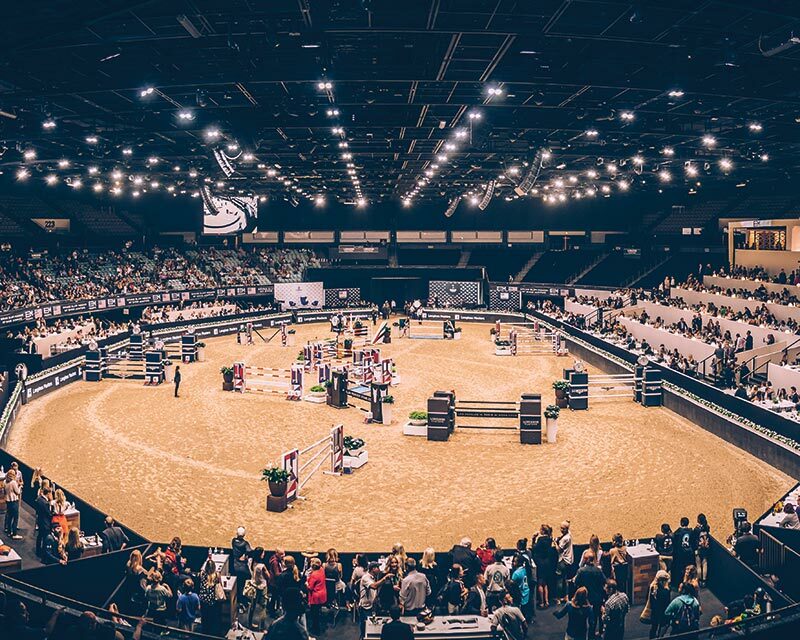 Unique to the sport, the warm-up ring is the centerpiece of the Prestige Village, where the panache of Longines, Hermès, the beautiful horses depicted in art forms and the like, surround an oval arena with riders you’ve read about, seen on TV, even seen in the ring, galloping right beside you. Or collecting and lengthening the stride. 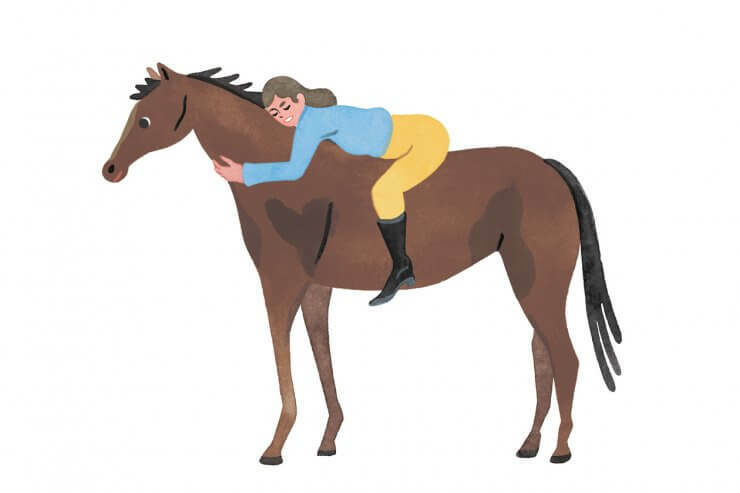 If you watch closely, you can absorb some riding tips that are well worth the price of admission before you even sit in your seat to watch the class. 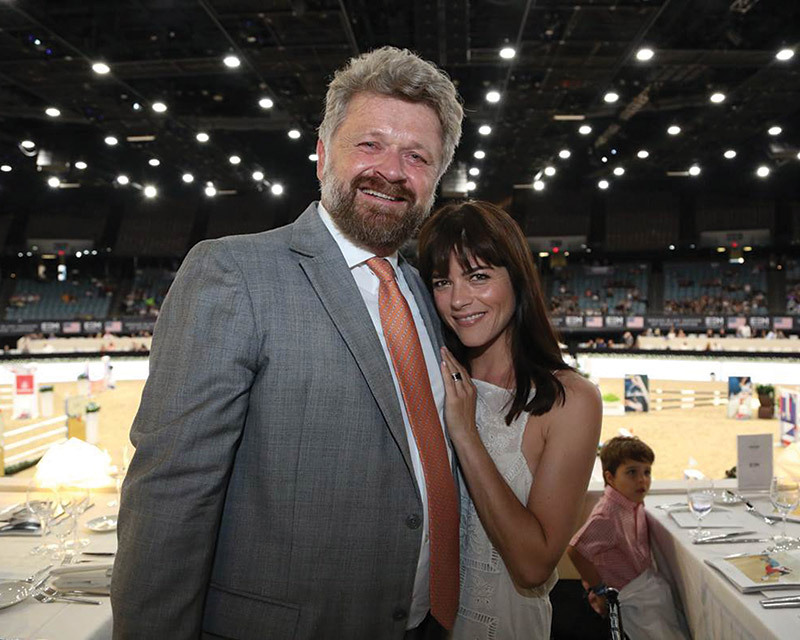 Attending a day at the Longines Masters of Los Angeles is a masters clinic, five-star performance and exquisite shopping all in one location. Getting that word out is one of Ameeuw’s goals, as California alone has thousands of equestrians who respect and appreciate this opportunity. Making this an annual must-see, an opportunity not to be missed, a dream come true is only just beginning to happen. The potential is promising. This is not simply a horse show, it is truly a special occasion, an unmatched experience not available anywhere else on the West Coast. This is sport and shopping in a chic setting all wrapped up with an intimate bow. Via EEM World, Ameeuw and his partners have built the field for an equestrian dream. And 2016 was potentially the best yet. An exciting sporting event over several days surrounded by star power in southern California. If you missed the opportunity to be a part of the dream, don’t despair, The Longines Masters of Los Angeles returns in 2017. ***EDITOR’S NOTE: Since the time of publication, the US leg of the Longines Masters series has moved to New York City. The Longines Masters of New York will take place April 26–29, 2018. Subscribe to receive the latest stories and news from EqSol. Great opportunity for up and coming professionals. Don't miss your chance! Wrapped up a busy year at this event. Thank you Marty Bauman, Connie Sawyer, Grace Walker, David Portener, Lexie Looker, Alden Corrigan & Andrew Ryback Photography for your expertise and support. Too cute to pass up - cheers to 2019!